Was that a g-g-ghost? No way! Alex didn’t believe in such things! But when a ghost scares Alex half to death on the beach at Treasure Island, San Luis Pass, in Texas, he begins to change his mind. 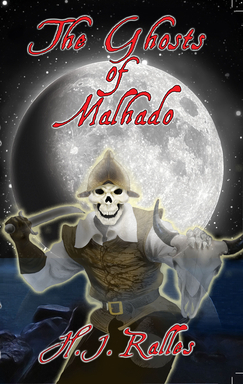 Why does the ghost keep wailing ‘Malhado’? Why does he carry that revolting cow skull? And why does he whisper about buried treasure? Only Juliann believes Alex’s ghostly tale of a Spanish Conquistador. 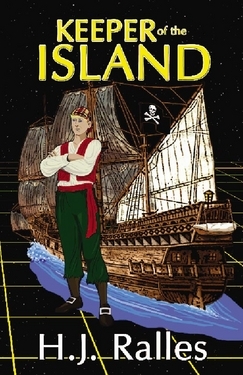 As Alex and his friend discover the exciting history of Treasure Island, they learn that there just might be treasure to be found. Exciting historical fiction for ages 9-12. 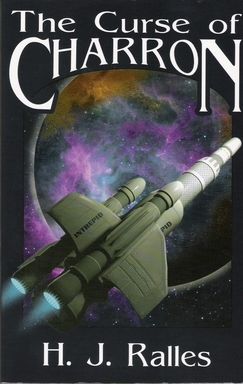 Encounter has crashed on the planet Charron, the seventh Ferrosian craft in four months! Survivors are mysteriously disappearing and the Charronese deny any wrongdoing. Tommy Harker, a seventeen year-year-old lieutenant, is part of the Ferrosian team sent to Charron to locate the survivors. But when their craft also crashes, their mission becomes almost impossible. Harker is order by Commander James Lang to destroy their severely damaged craft before the crew of four set out on foot across the desert. Lang and Major Price are captured within hours, leaving Harker and sixteen-year-old Pilot Officer Annie Reeves to continue on their own. For the two teens survival in the Red Desert becomes not only a battle against the elements, but also a battle of wits and ingenuity against the ruthless Charronese military and the formidable Colonel Swick. Ah, me mateys, pirates indeed! When Cap’n Persivius Scarr discovers Matt onboard his ship and throws him in the brig, Scarr gets more than he has bargained for! Matt soon discovers that Dreamseeker is not a typical pirate ship and that Cap’n Scarr is hoarding a lot more than pirate booty. After Varl and Targon discover treasure in the pyramid of Balamachu, Varl mysteriously vanishes and Targon enlists the help of Gabriela Kimile to find him—but what does Gabriela’s father know about the treasure that he’s not telling? 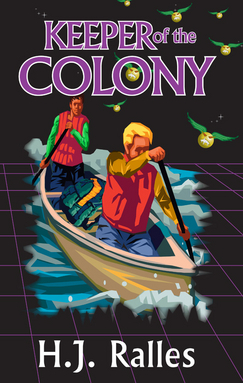 In Level 5 of his computer game, Matt must untangle a web of pirates, mutineers, islanders and federal agents in order to destroy the Keeper. In the riveting final book of the Keeper series, the secrets of Matt’s computer game will be revealed! When the curfew bell tolls in the Dark End you had better be off the street! The icy Colony of Javeer, brutally ruled by Horando and his Gulden Guard, is a horrific setting for Level 4 of Matt's computer game. Targon has disappeared and Varl has been thrown into Central Jail. When Matt attempts to rescue Varl, he learns that Horando is not the only enemy he must beat. Gnashers live deep in the gold mines and are killing humans that dare to enter. Can Matt defeat Horando and save Varl before he becomes the next victim of the Gnashers? The Vorgs have landed! They’re grotesque, they spit venom and Matt is about to be their next victim. What are these lizard-like creatures doing in Gova? Why are humans wandering around like zombies? 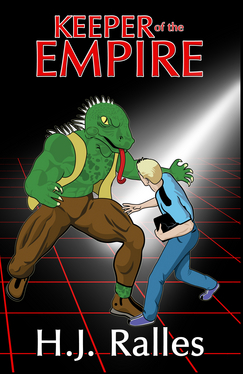 In the third book of the Keeper series, Matt finds himself in a terrifying world. With the help of his friend Targon, and a daring girl named Angel, Matt must locate the secret hideout of the Govan Resistance. And what has become of the wise old scientist, Varl? There is no end to the action and excitement as Matt attempts to track down the Keeper, and win the next level of his computer game. In 2540 AD, the peaceful realm of Karn, 300 feet below sea level, has been invaded by the evil Noxerans. This beautiful city has become a prison for the Karns who must obey Noxeran regulations or die at their hands. In the second thrilling adventure of the Keeper Series, Matt uncovers the secrets of the underwater world. He must rid the realm of the Noxerans and destroy the Keeper. But winning level two of his game, without obliterating Karn, looks to be an impossible task. Can Matt find the Keeper before it's too late for them all? In 2540AD, the Kingdom of Zaul is an inhospitable world controlled by Cybergon ‘Protectors’ and ruled by ‘The Keeper’. Humans are ‘Worker’ slaves, eliminated without thought. Thank goodness this is just a computer game – or is it? For Matt, the Kingdom of Zaul becomes all too real when his computer jams and he is sucked into the game. Now he is trapped, hunted by the Protectors and hiding among the Workers to survive. 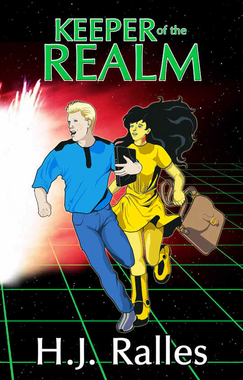 Matt must use his knowledge of computers and technology to free the people of Zaul and return to his own world. 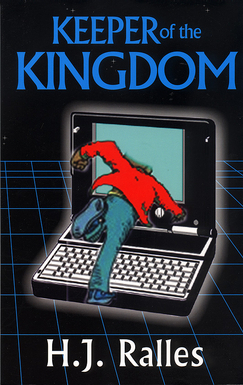 Keeper of the Kingdom is a gripping tale of technology out of control. H.J. Ralles lives in the Houston area with her husband and a devoted black Labrador.